Market conditions in Dane County make new construction an attractive option. Building a new home is a lifelong dream for most people, and current real estate market conditions in Dane County have made it a great time to take that step. February ended with 20% fewer active listings in Dane County than in the previous year. That means buyers face fewer options and higher prices for pre-owned homes, the South Central Wisconsin MLS reports. That situation has made new construction an attractive, economical option for buyers who are unable to find a pre-home that meets all of their needs. Josh Lavik, a realtor with Keller Williams and the principal at Josh Lavik & Associates, recently saw that play out with one of his clients. “For nearly the same price as a pre-owned home, my client was able to make his own selections and build new,” Josh Lavik said. That trend has played out across the country, too. 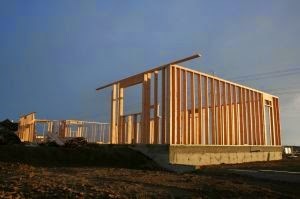 The rate of new home starts was 18.7% higher in January than in the previous year, the U.S. Department of Housing and Urban Development reports. Still, even when market conditions make new construction a great option, many think the process is too complex or intimidating for them. Amy Kirner, a new home specialist at Veridan Homes, works to dispel that myth. Conventional financing, firm closing dates, and an array of options can make the purchase of a new home easy and more affordable than a pre-owned home, Amy Kirner added. Mike Fujihira, a senior sales consultant with William Ryan Homes, said it’s important to consider different builders, and to understand allowances in a contract for upgrades like appliances, flooring, countertops and light fixtures. A trusted realtor can help determine how upgrades and added features will affect the saleability of a home in the future, too. Another major consideration is selling your current home on time. Again, a trusted realtor will help ensure a seamless process.